At O Beach Ibiza, Sunday, from 5 May to 1 Sep. Uplifting beats at O Beach. 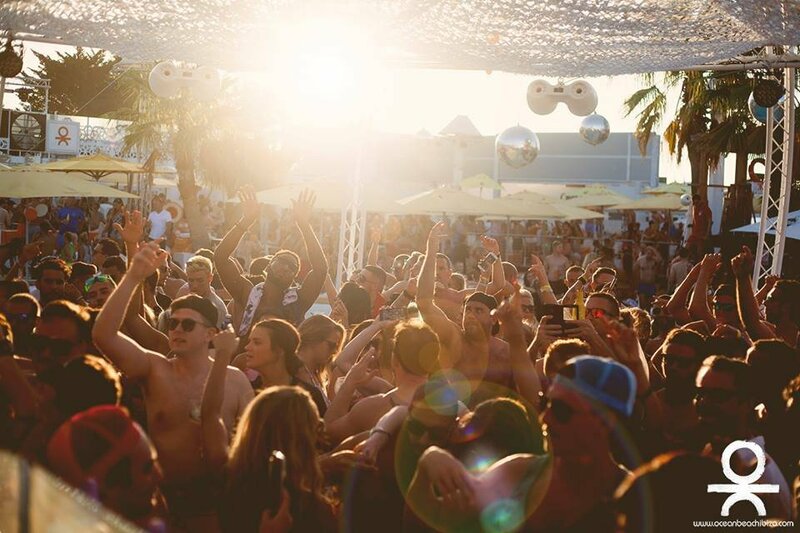 O Beach Ibiza provides the tropical paradise while a range of DJs bring the fresh, housey beats and, hey presto, there is a recipe for a big, bouncy blowout with House in Paradise. Reports of mermaids fanning punters by the pool and wannabe Tarzans swinging from sun lounger to sun lounger remain to be confirmed, but nothing surprises us at O Beach anymore, so let's assume they're both true and be done with it. The magical wonderland redefines reality with a slew of secret headliners plus massive sky-show production with acrobats and aerial performers. Consider your own bikini made of shells. Remember, though, it's not cool to take home coral from the beach. You can catch this party on five Sundays this summer from June to September 2019. See below for full details, confirmed line-ups and tickets.